MCG club was founded in Michurinsk in 1990 by a group of radioamateurs who were interested contesting and dxing. Usually before a big contests like WW or WPX necessary to build a good antenna field and get hold of equipment and construct equipment with competitive characteristics. Well here in September '89 of the last century it took to do it, and we quickly formed a contest club, but the club was small, the name given Michurinsk contest group. Our president RV3RV - Anatoly Zheltotrubov, big master of telegraph key, medalist of speed radiotelegraphy competitions and one of the very few happy owners of 70 years, whose prefix UZ3 (ex UZ3RV) welcome each WPX contest. Vice President RW3RQ - Andy Yatskiv (ex RA3RQT), the author of these words. Responsible secretary RN3RQ - Jack Yatskiv (ex UA3RCS), universal factories and generator of new ideas, which finances the purchase of everything the club (whether new transceiver, line amplifier, printing certificates and QSL cards, new antennas and prizes for contests or a trip to the radioamateur conference). 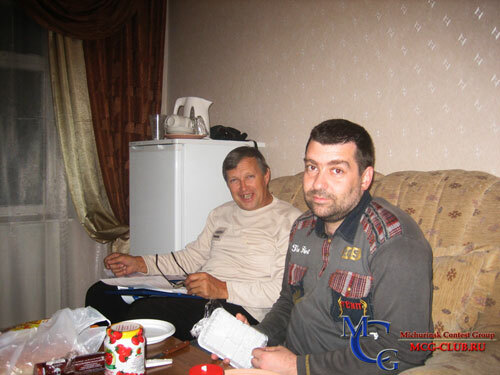 And RA3RM (ex RA3RRU), UA3RAC (ex UL7DBJ), the best people when those who were leaders of contest club RRTI (Ryazan Radio Engineering Institute) UK3SAB - Stan UA3SAQ and Jack RA3SL. And staff of RX3RXX contest club - UA3RAR, UA3RJ and UA3RV.